The wildlife of the North West Province is best enjoyed in the many nature and game reserves of the area, which showcase some of South Africa's fauna and flora to perfection. 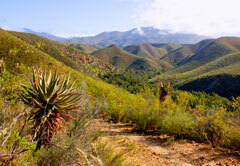 Although the North West is a massive province, little of it is occupied by people, leaving enormous expanses of land available for game reserves, nature reserves, and national parks. 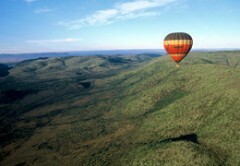 Some of the best known game reserves in the North West Province are the Madikwe Game Reserve and the Pilanesberg National Park (near Sun City). 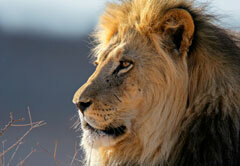 Both of these reserves are home to the Big Five; which is made up of elephant, lion, buffalo, leopard, and rhinoceros. These animals are thrilling to see and photograph in their natural habitat. But, these species also share the area with plenty of other fantastic animals like the cheetah, wild dog, hippopotamus, and hyena. Madikwe is free of the threat of malaria and boasts the second-largest elephant population in South Africa. 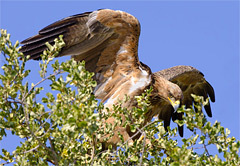 The Magaliesberg Biosphere Reserve, Barberspan Bird Sanctuary, and Mafikeng Game Reserve are also beautiful places to enjoy the animals and plants of South Africa. Guided game drives or self-driven safaris are both excellent ways of getting fairly close to some of Africa’s most exciting predators and other animals. A guided tour is conducted by experienced rangers that know and understand the animals and their movements, so they are better able to take their passengers to where the animals are living, eating, drinking or hunting. 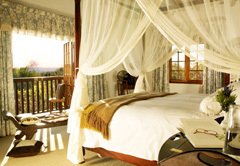 The game reserves of the North West are about 4.5 hours' drive from Johannesburg and Pretoria. Click on the game reserve, national park or nature reserve you wish to visit on the North West Province map or select from the full list below, to view additional information about the reserves and for listings of all lodges listed in the relevant area. From untamed bushveld to the sophistication of 5 star luxury resorts, the North West Province provides the complete tourism package. Nature has blessed the North West with breathtaking scenic beauty, rolling fields of maize, golden sunflowers and and vast plains of African bushveld.